What are your plans this weekend? If anything, any weekend activity should involve soaking up the sun and sundowning on one of Bali's delightful sandy beaches. But which one? 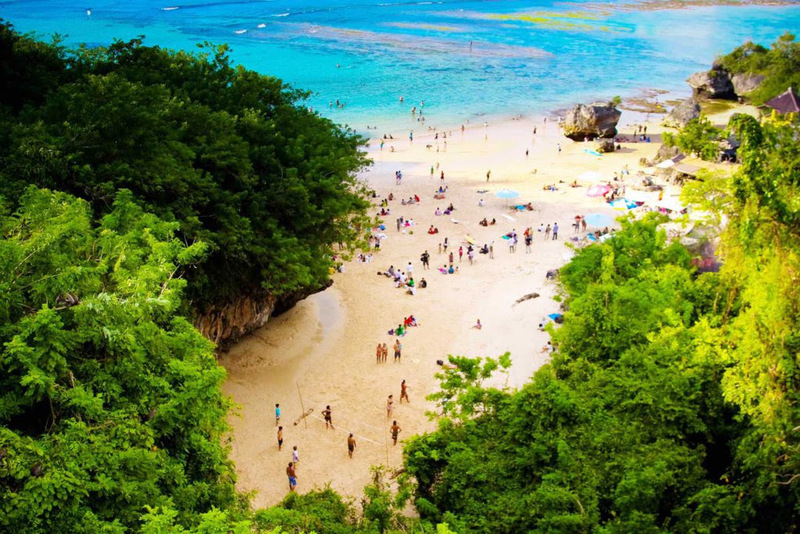 Here in the first part of our Bali Beach series, we're highlighting the beaches that made Bali world-famous – the island's most popular beaches that have made it to many an Instagram posts and YouTube videos worldwide. Scroll below to have a look! So beautiful is this beach that in the old days, one would need to invest time, energy and sweat to reach it. Located in South Bali near Uluwatu, Pandawa Beach used to be a hidden little haven originally found by who else, but surfers looking for new sets of barrels. To get to the beach, you would have to climb down hundreds of steep steps – not a simple feat, especially on your way up! – but the end result would be so worth it. Eventually, the local government decided to develop the areas surrounding the beach and cut into the cliffs to create roads and parking. Nevertheless, beautiful turquoise waters and sparkling white sandy beach awaits any visitor who would venture there. Getting to this beach is a major test of your endurance! Imagine climbing down giants steps and moving amidst boulders and walls and roofs of solid rock to get to the sandy shores below. It is also located in Pecatu, near Uluwatu, basically the limestone peninsular of Bali and home to soaring cliffs. This area is also home to some of the island's best beaches. 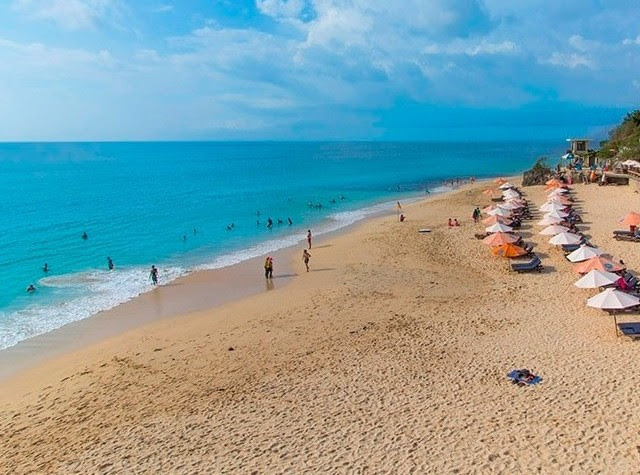 The waters here are a little bit rough (a surfer's favourite) but the beach has a romantic vibe to it and is a great backdrop for lovers who want to spend some quality time together amidst exotic settings. No wonder, as a scene from Eat Pray Love the movie was also shot here! Situated close to Padang Padang beach, the entrance to the beach is at the top of a cliff, hence its name. Be prepared to go down hundreds of steep steps to get to the beach! On your way down you will find a lot of restaurants and shops. It gives you the feeling of a small, cozy surfers' village. The waves can be pretty heavy and can smash into the rocks while you’re trying to reach the beach. It’s better to go there when the tide is low. Another beach that skyrocketed to fame thanks to Hollywood – it was the venue for the video "Someday" by pop band Michael Learns To Rock back in the 90s. 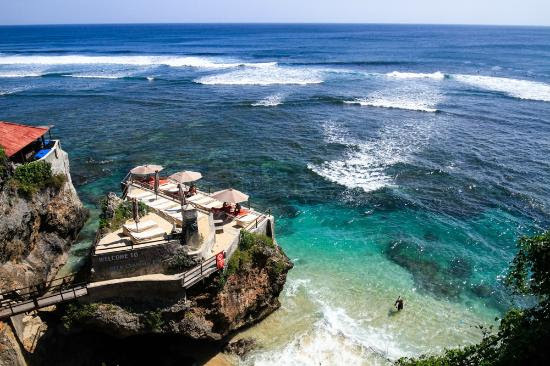 As per most of Bali's popular beaches, it began as a surfer's haunt and later evolved to be a tourists' favourite with new developments all around. The waters here, like almost neighbouring beaches in the limestone peninsular area are rough with high waves. Surfers love it though, and you can view them from your sunny beach chair as you sip on coconut water sold by the many vendors on the beach. The quieter, and more "relaxed" version of Seminyak Beach, Petitenget Beach is great for an evening stroll, kite-flying, swimming and just resting on the sand with friends, family and your furry four-legged friend. The beach is well-taken care of as it is in the immediate vicinity of the holy Pura Petitenget. You'll be sure to enjoy a few quiet moments here under brilliant blue skies and a pretty sunset. The waters here are relatively safe to swim in and the beach is bordered by beautiful resorts and palm trees. If you're feeling peckish, you could buy some street snacks from the local vendors in the parking lot but be sure to throw your rubbish in the rubbish bin! 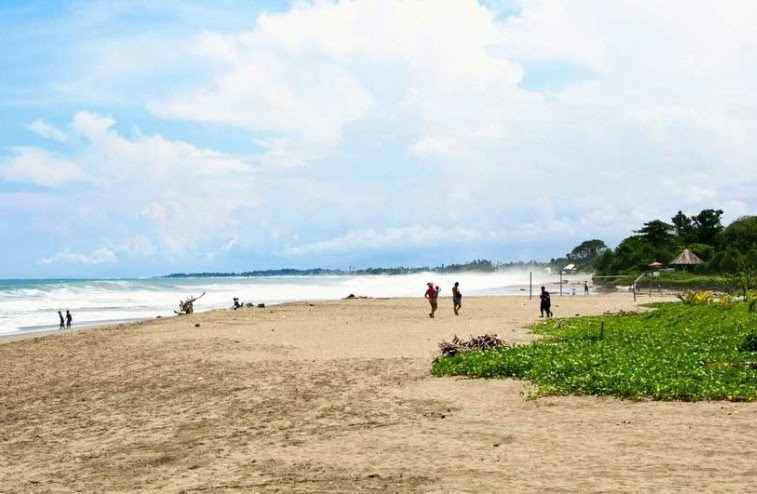 One of Canggu's most popular black sand beaches, Echo Beach is "in-fashion" at the moment and you'll find plenty of chic visitors on its shores. Echo Beach is actually the beach's nickname, its original name being Pantai Batu Mejan, after a significant Hindu Temple, Pura Batu Mejan, located near the vicinity. Located also near Echo Beach are trendy cafes, shops, hotels and villas. 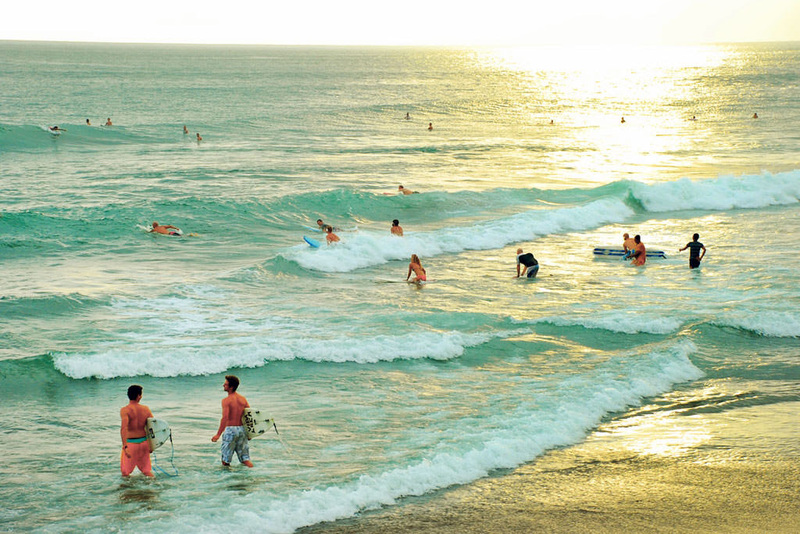 The beach is a favourite surf and sunbathing destination in Canggu. We hope you've enjoyed the first installment of our Bali Beach series. Stay tuned for our next installment and do share this post with your family and friends. Follow us on Facebook andInstagram and tag us for a chance to be featured!